﻿ How can your Restaurant \'Go Green\'? 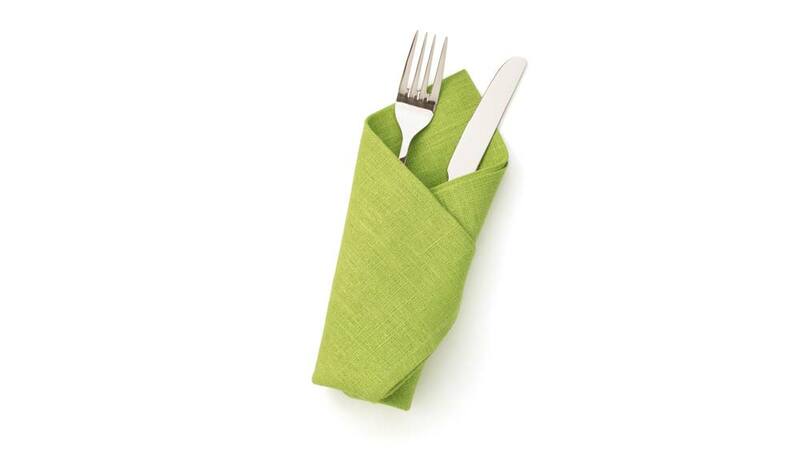 How can your Restaurant \'Go Green\'? Huge garbage is created when restaurants waste significant amount of energy, food and water. How can this trend be reversed? Using ‘Green’ products: Avoid chemical-based cleaners that have a damaging effect on water and wildlife once they've been flushed out of your drains. Mr. Sachin Dhoka, Owner, Firangi Tadka, says, “We clean our restaurants daily with dettol and other natural chemicals which are doctor tested to maintain the hygiene of our restaurant”. Saving energy and water: Use renewable source of energy in your restaurant and ask your employees, especially the kitchen people, not to waste too much of water. Ask them to close the taps after they have done with their work. Mr. R Darshan, Managing Partner, Hungry Hoggs, Bangalore, says “At our restaurant the wastage is very less; we offer fresh foods and don’t believe in storing things and avoid overuse of anything. We use paper bags and avoid using plastics at our restaurant”. Using recyclable materials: Use paper and napkins which can be recycled. Also use recyclable toilet paper in your restaurant’s washroom. Avoid use of plastic straws and boxes for foods in your restaurant. “We use recyclable materials to participate in the ‘go green’ concept; moreover everything at our restaurant is cooked naturally and in-house”, added, Ms. Devika Keer, Marketing Manager, Cafe Mangii, Mumbai. Buying organic ingredients: Avoid serving food that has been grown with the aid of pesticides and chemical fertilizers. The pesticides used at the place where these materials are grown damage the land and also the worker who harvest them. Question your suppliers on how they grow their produce and ask for assurances that everything is done naturally. “We use organic products and local ingredients which are easily degradable to follow the concept of going green. Our restaurants also try to avoid wastage so as to avoid piling of the foods and making environment polluted”, says Mr. Shyam Sunder, F&B Manager, Novotel Hyderabad Convention Centre. Getting stock from local suppliers: Try getting all your raw materials from a local supplier. Using ingredients that have travelled a long way will add to your carbon footprint. Buying raw materials from local suppliers will cut the amount of energy used to import the food from a distant place to your restaurant. “We have all the local suppliers to get the raw materials, GUK- supplies french fries, Alframs-Sausages and all other food materials from the local market. Stocking the material from the local market not only saves the energy, but also keeps the food fresh”, mentions Mr. Bruce, Owner, IMBISS, Mumbai. Initiating ‘plant trees’ concept among customers: There are also activities like planting trees which restaurants are following to ‘go green’. Nirula’s, the famous chain restaurant in India collects squeezed lemons, plants them in plastic cups and distributes the same to customers in a bid to promote recycling and planting trees. Using eco-friendly equipment: Use equipments which are eco-friendly, e.g. computer- controlled fryers, ovens and refrigerators. Electrolux, for example, has come up with a wide range of professional ovens in Indian market which are very cost effective and environment friendly. The Electrolux touchline ovens suits all types of restaurant whether a small or a QSR, where you need quick and dynamic service of quality meals for customer in very little time, with a different taste as well as being environment conscious. · Prepare 600 pieces of murgh tikka in just 9 minutes in the air-o-steam Touchline combi oven 10 grids. · Prepare over 30 kg of boneless chicken curry in 12 minutes in the Electrolux pressure brat pan. · Cook 120 pieces of steamed idli in 8 minutes, in one air-o- steam Touchline combi oven 10 grids. So go green to bring green in!